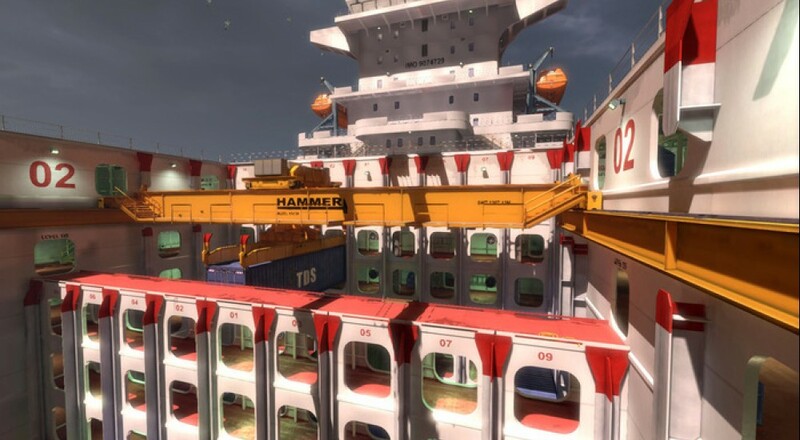 The Hold is a new map taking place on a large cargo ship. Long range combat spaces (such as, you know, the cargo area), are mixed in with small close quarters combat areas like stairwells and passageways. There's also a relight of Radar, Radar Storm. The time of day changes to night, and players will be fighting in a constant state of snow and fog. Thus visibility when in the outdoor sections of the map is greatly reduced, making it harder to see (and be seen by) enemies. Want weapons? Well there's three new ones. All based on the AG-A3 bullpup design, players can chose from the 5.56mm Carbine, 9mm Para SMG, or the semi-auto DMR. These rifles have increased accuracy compared to standard Carbines, but an increase level of felt recoil. Takedown: Red Sabre is available now on Steam for $14.99, however this DLC pack will be free. The DLC has also been integrated into the Xbox 360 build, but no release date has been announced.